How To Stick to Your Meal Plan on Vacation - She's Losing It! What’s the most important thing in comedy? I don’t- TIMING. What’s the most important part of show prep for a bodybuilding competition? FOOD. EAT RIGHT. TIME IS LIMITED. So it was a bit of a comedy of errors for us to take a family vacation to Disneyland when I am only five (5) weeks away from my next competition. But I am up for the challenge! Once a day I’ll eat a small portion of restaurant food with my family. I just need to make good choices and no dessert. You know, every time someone cheats on her meal plan, a fairy dies. Let’s keep the fairies alive. Spinach. It wilted and got STINKY! Everything else survived. Yay! It helped that there is a refrigerator at the hotel. It’s five days into the vacation, and so far so good. While my kids ate cotton candy, I had turkey meatballs. While my kids (and husband) ate ice cream, I had Greek yogurt. The Quest Bars, almonds and apples helped a lot. Only one fairy bit the pixie dust during this trip so far. (My husband bought a giant hot fudge sundae with three flavors of ice cream, whip cream, and two chocolate chip cookies…I ate the cookies. Sorry, fairies. 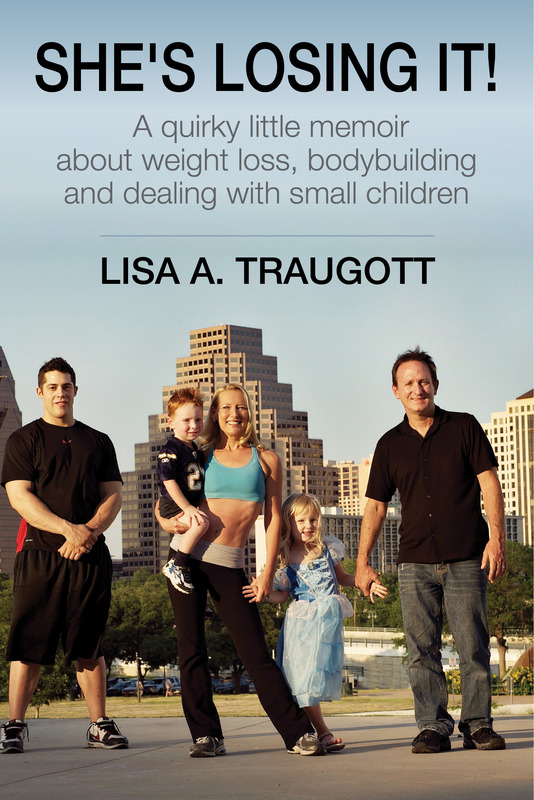 Lisa Traugott is a Mom’s Choice Award winning writer, fitness blogger, wife and mom of two. Her book, “She’s Losing It!” is available at Amazon.com. Omg you are so funny! Great job girl! I love the owl bags where you get those? Thanks! The owl bags are from Thirty-one. My friend, Shannon Burl, is a sales rep for them. If you search for her on Facebook she can send you info. Time Is Limited | She's Losing It!